With its series of high speed esses, the long curving Spoon corner, the balls-to-the-wall sweep that is 130R and the infamous end of lap chicane, Suzuka International Racing Course stands out as one of the most dramatic circuits on the Formula 1 calender today. 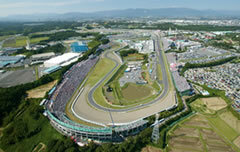 Suzuka’s history in Formula 1 stretches back to 1987 and (bar 2007 and 2008) has been on the calender for the duration, normally finding itself as one of the final events of the year. As a result, it has been the venue where a number of titles were decided – most controversially at the height of the Prost / Senna years in 1989 and 1990 respectively. In no uncertain terms, Suzuka is a true classic and it was all born under the pen of famed Dutch designer, John Hugenholtz. The son of a Protestant minister and peace activist, John Hugenholtz was born on October 31st, 1914 in the Dutch province of Drenthe. As a young man, Hugenholtz was a keen amateur motorbike racer, but his real interest lay in cars; yet despite his love of motors, he studied to be a solicitor, before eventually becoming a journalist. Soon though, the pull of motor racing would draw a 22-year-old Hugenholtz to form the Nederlands Auto Race Club (NARC) in 1936. 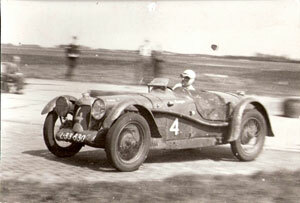 Drenthe already held TT practices and races in the 1930’s, but with momentum slowly building, the first car race eventually ran in June 1939 on the roads around Zandvoort. The experience did not last long – the second World War broke out shortly afterward and when the Germans invaded the Netherlands, the Nazi’s secured a base around Zandvoort. It is often believed – incorrectly – that once the war finished, Hugenholtz designed the Zandvoort circuit, when that honour resides with the winner of the 1927 Le Mans 24 Hour Race, Sammy Davis. During the German occupation, Nazi troops built a series of communication roads and hotels in the region to accommodate victory parades, creating much of the circuit in the process. Following the defeat of Germany, Davis drew up designs that connected the communication roads, with the circuit opening in 1948. 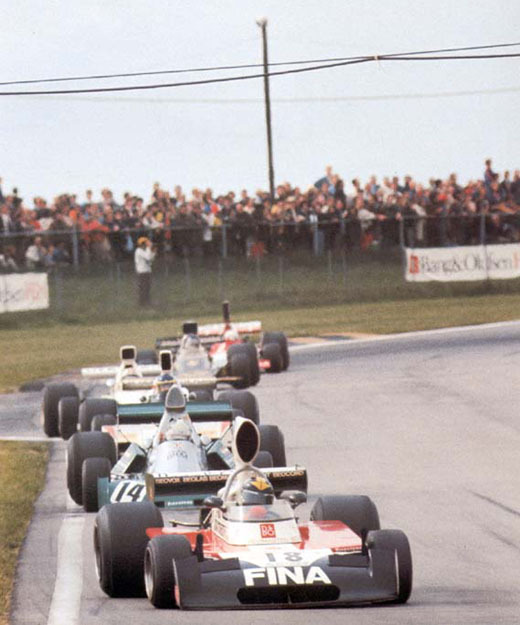 The confusion about the designer originates around this time – within a year of the circuit opening, Hugenholtz was made the director of the track by the town’s mayor – a position that he would hold until 1974. However, he would take note of the combination of fast sweeps and cambered corners, often instilling these elements into his own designs later on – they would become something of a signature touch. Hugenholtz was about to enter a busy period – one where he would begin to change motorsport and circuit design forever. At the 50’s drew to close, the designer embarked on a number of large projects, eventually designing (amongst others) Zolder (Belgium, 1963), the stadium section at the Hockenheimring (Germany, 1965) and Jarama (Spain, 1967). When Hugenholtz designed Ontario Motor Speedway (with Michael Parker) in 1970, it became the first circuit in the world to receive sanctioning from the four major motorsports bodies – within a year of opening, the FIA had sanctioned the Quester Grand Prix, USAC ran the California 500, NASCAR the Miller High Life 500 and the NHRA ran a Super Nationals drag race. He was gaining a reputation for drawing up challenging and innovative layouts, while also advising other raceway builders across the world on circuit design; however not all circuits were deemed to be successes. When Nivelles was opened in 1971, it was flat and consisted of seemingly endless run-off areas – when compared to the monstrous Spa-Francorchamps circuit (indeed both Zolder and Nivelles temporarily replaced Spa for a time), Nivelles was bland and featureless. None of these have ever been as famous or as warmly received as Suzuka. The figure-of-8 track was commissioned by Soichiro Honda to be a test facility for the company. Opening in 1962, the circuit held mainly minor sportscar events and motorbike races, although at the beginning of the 70’s Formula 2 made its début at the track. It was quite odd that when Formula 1 did eventually come to Japan that it went to the rival Mount Fuji circuit for a two-year, before Japan once again fell off the calender. Come 1987, Formula 1 returned and this time journeyed to Suzuka (helped no doubt by Honda’s influence on the sport), where the title was settled in anti-climactic fashion during qualifying as Nigel Mansell crashed hard, gifting a third world title to Nelson Piquet Sr. Yet for all the circuit direction Hugenholtz is famous for, he also became highly regarded for creating the first generation of catch fencing in motor racing in 1958. Using Zandvoort as a guinea pig, several layers of chain link fences were combined with large run-off areas, with each layer decimating the speed of an out-of-control vehicle, as they speared off circuit. As the fences absorbed an approaching car, the links stretched and swallowed the machine, allowing it to slow quickly without it hitting a solid entity. Prior to this, track were lined with either bales of hay or barriers (more to protect the crowd than the driver); collisions in these situations often resulted in death or serious injury. Although Hugenholtz’s chain link fences saved many lives (especially when cars started to get seriously powerful toward the beginning of the 70’s), they were also the cause of much frustration as the system would often trap a driver completely if it rolled or collected the fence at an odd angle. As time progressed, these were replaced by large gravel traps and eventually tarmac run-off areas. Less successful were Hugenholtz’s forays into car design, overseeing two still born projects in the Dutch Barkley (1948) and later the Delfino (1989). On January 10th 1995, Hugenholtz and his wife were involved in a crash at the Zandvoort circuit – his wife, Marianne Sophie van Rheineck Leyssius, was killed instantly, while Hugenholtz himself finally succumbed eleven weeks later due to injuries. He would leave behind a legacy of some brilliant circuits that would play host to the pinnacle of motorsports and innovative safety features that would save many lives on track.